The train gently rocks from side to side. Lulling me into a sleepy submission. I ignore the muffled conversations around me, the book closes softly and I let my thoughts wander. It’s a novelty these days and I embrace it. Cucumber sandwiches with the crusts cut off. Scones with jam and cream. Tea sipped over chuckles with my nana. I don’t take this time for granted. I know at different points in her life there could have been completely different outcomes. We high five each other happily for being alive still- she’s that kind of nana. Plucking words from the air, rearranging them, and then trying desperately to make some sort of sense of them. They can be uniform in shape, nonsensical in their line up, or simply lost. But occasionally? Occasionally they fall just as they were meant to be. Captured within that micro second and dragged to forever with pen and paper. 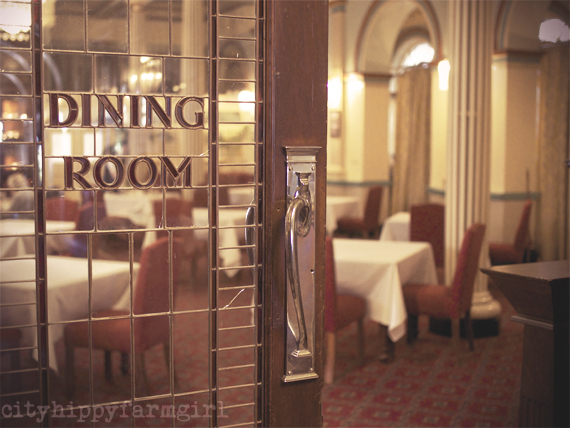 This entry was posted in Rambles, Waffles and Digressions and tagged Blue Mountains, high tea, loving, nana, the carrington by cityhippyfarmgirl. Bookmark the permalink. Such beautiful words – Brydie – you capture the moment/s so well. Thank you making me feel happy. Thank YOU Rachel for the kind words. I hope your week is a lovely one. Enjoy it indeed. I’m yet to see any crazy Autumnal weather here but there have been snippets. 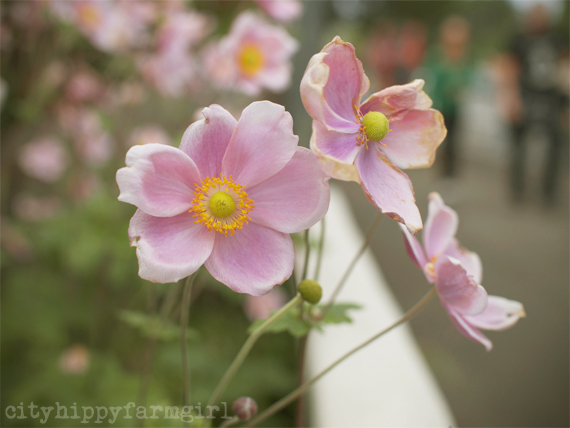 Beautiful windflowers in the first photo. I am enjoying mine at the moment! Good morning Brydie. I look forward to your blog each and every Sunday! That dining room looks like a special place. You even manage to make that train station look beautiful! What a special nana. Mud pies are the best Jane. Especially your mud I would imagine, as it’s just good clean red mud. Not enough mud pies in my life I think! 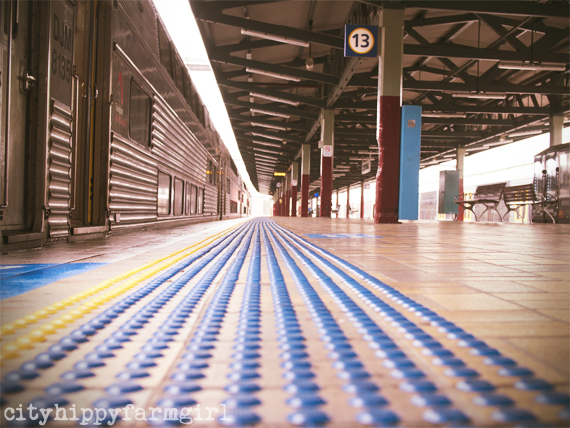 Loving … that awesome picture of Platform 13, I’ve never seen it quite from that angle before. Gosh you have an eye with your camera! Loving … Sunday morning after the market, a cup of coffee and a visit to Brydie’s blog. I am loving…a weekend retreat with writer friends, coconut tim tams and big hugs from my family. Hurray for all of that Sara. That’s sounds pretty rockin’ I would say. Sunday mornings, fresh autumn air, slices of my own bread…..kids, friends…..thanks for beautiful words Brydie!! Sounds wonderful Ale. I hope your week is good one. Having just inhaled two cups of ‘Christmas Tea’ I can well attest to tea being a wonderful leveller. The world once more is recalibrated, brain aligned and eyes in focus again. Thank tea, you serve me well. Thanks Lily. It’s good sometimes just to pause a second and take in some of the smaller stuff. That my husband dragged me out of bed this morning and said, I want you to see this….so standing in our backyard in our pj’s, we watched as the morning sun’s rays turned the clouds pink. Loving that our 29 year old daughter has come home to Australia, after living in Scotland for 2 years! Thank you for sharing your stunning photos and beautiful thoughts with us. Jenny that’s all wonderful 🙂 I showed my daughter the pinks and oranges of the morning sunrise this morning, it was just stunning. I love this time of year for all the different colours. Enjoy your time with your daughter after being away for so long! Beautiful reflections here. Thank you for letting us catch a glimpse of these moments in time. Me, Im loving that I have a 5 day weekend this week. Also loving that I am having sushi for lunch. LOL! It’s the little things.